I've been dealing with this high-pitched noise from my car. As the noise has gotten louder over the last few months, I of course started getting concerned, as it could be something internally (very expensive), or the transmission (very expensive), or who knows what else. I took my car to the shop for an oil change, and I mentioned the noise, and they said it would be $115 for the diagnostic work. This is their hourly labor rate, which is fair, but of course I was hoping an experienced mechanic would recognize the noise and have a good idea what it was, without charging me a fee to diagnose. I know that thinking is pretty unrealistic now days, but a guy can dream can't he. I decided to just get the oil change and kick the can down the road and deal with the noise some other time. Seems like pretty smart thinking, right? After I had the oil changed I was talking to the manager, Marvin, who I have dealt with for many years with all our family's cars. I told him about the noise, and said I might be bringing it back some times soon to address it. He said, I should just leave it now and they could take care of it. He said it would probably be an hour, and about $200. He said it could be something serious that would take more time and money, but he seems pretty confident in what he thought it was. 45 minutes later and $162 later, my car was fixed. The noise was gone. Now that's service. No extra fee, no BS, just knocked it out. Yea, $162 is not a trivial amount, but it could have been any number of expensive parts. I do realize (now) that I can buy an idler pulley from Amazon for $20. Could I have replaced this part myself? Maybe I could. I have done work on my car for years with varying degrees of success. But, I had no idea what was making the noise. I have replaced the serpentine belt, the tensioner, and have removed the alternator before, but do I just start replacing parts? That $115 labor fee probably included them checking all the parts connected to the belt. Also, I did research online and descriptions of similar noises had a big list of possible sources.... transmission, breaks, water pump, alternator, etc. So, I was not confident in just taking a chance by buying a part and replacing it, and hoping for the best. So, I feel good about the money I spent. On top of the issues of me trying to fix it myself I mentioned, the time for me to work on it would be huge. I would have spent hours finding the parts locally and hopefully having the right tools. Now, I have time to enjoy the rest of my day not working on my car. 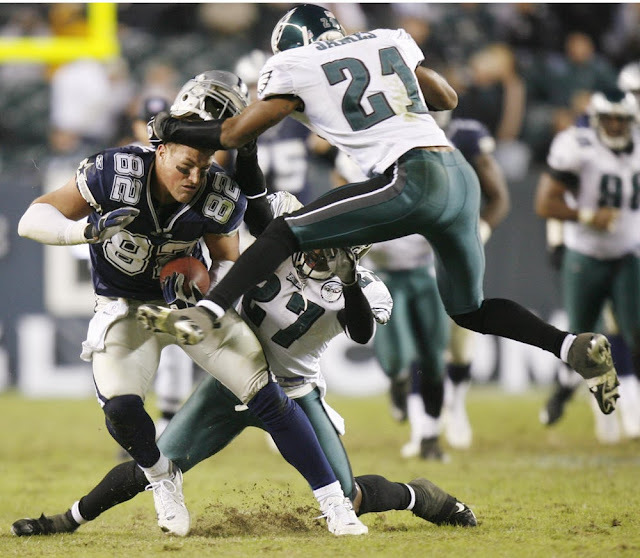 By the way, the play where Witten ran down the field without a helmet... against the Eagles... , he didn't simply "lose" his helmet, or his helmet didn't just "come off", He took a full speed blow to the head by one defender, and a second defender basically close-lines him and rips his helmet off his head. His toughness is not just from the fact he ran down the field without a helmet, but that he received both of those hits and not only stays on his feet, but takes off down the field towards the goal line. The guy missed one game in 15 seasons. He is #4 in career receptions. Not just for Tight Ends, but all receivers. More than Marvin Harrison, Cris Carter, Tim Brown, Terrell Owens, etc. etc. The embodiment of toughness, consistency, and reliably. He will be missed. You do know that "Special Interest Groups" and "Lobbyists" are also called "Advocacy Groups", and they don't just include the NRA, big tobacco, big oil, big pharma, etc. They include the causes you support too. 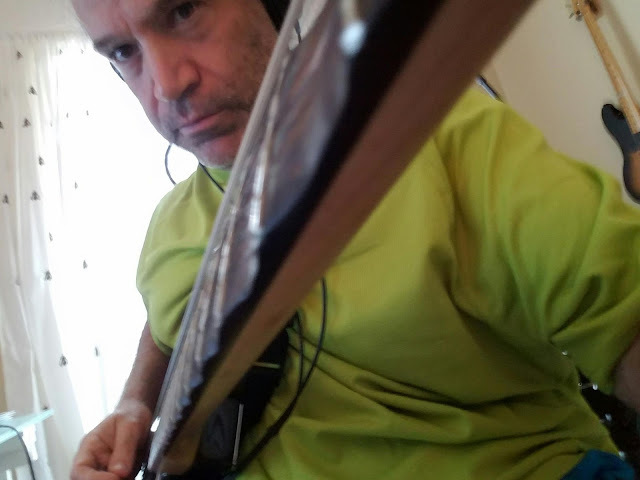 Finishing up the guitar tracks on the first song on the album. Very excited. Love DFW. I live here by choice, but Louisiana is a special place with special people. Chad Litersky, Mike, Tammy, Luke, Ory, and Thomas Veillon, Doug, Becca, David, and Amanda Duhon, Shane Louviere, Thomas and Martin Branch, Jack and Karen Panczyk, Joey and Cindy Gates, Stephanie Pepper, Randy Guidry, Nicole Amelina Mccrary, etc. Krewe of Bonaparte Parade, The Best Stop, Don's Seafood, Whiskey River Landing, Popeyes, Pat's Seafood, Daiquiri Depot, La Rumba, Bisbanos, Swankys Po-Boys, Rickey Meche's Donut King, Geno Delafose, LA 31, Arn Mait'n, Double Tree cookies, Rompope de Santa Clara, Makers Mark, etc. with Rodeo Love Gods, Spiders, Mongo's Hillbilly Acoustic, etc.